Previously in TTA on TBI and the NFL: Further sad confirmation of CTE, Brain injury research study, NFL donates $30 million to NIH, Combating TBI on the battle and football fields. One has to wonder, given that the reduction in the Supporting People funding from April has been known about for a long time, what planning has been done between the council, the housing providers and the telecare service provider to prevent this situation arising. One could also wonder what alternative, less expensive, systems have been investigated and ponder the ethics of removing from people’s homes something which is potentially life saving (and cost saving further down the line). Ultimately, if substantial numbers of people are saying they will not pay an extra £2.99 per week [interesting number] then perhaps they are saying that the service and the much-trumpeted reassurance it provides is not, in reality, so important to them. Liverpool elderly could be at risk from loss of £500,000 funding for emergency care alarms. Check out the comments too. Readers may want to compare that with the ongoing publicity in nearby Trafford which is encouraging people over 80 to take up a year’s free telecare trial. Events held to promote free telecare for Trafford’s over 80s. E Ink technology, popular on e-books like the Kindle and on displays, is now showing up as a highly readable, lightweight (80g), low power display (one week life) phone. A prototype E Ink-only Android phone was demo’d at Mobile World Congress. The tradeoff is full color for great readability and simplicity in any light. Kind of like silent movies. Watches, anyone? Springwise Hat tip to TANN Ireland’s Toni Bunting. This presentation by William C. Thornbury, MD summarizes his two-year research on ‘virtual patient visits’ in the primary care area. In patient-centered medical homes (PCMH), telemedicine virtual visits fit extremely well with an e-commerce minded, ‘gone mobile’ patient group and their needs for convenience and rapid response. It also fits with patient engagement, superior care delivery and cost efficiencies. This presentation is a lengthy 1 hour 28 minutes (including Q&A, which is also interesting) so you may want to bookmark for the weekend. It frames the essentials of disruptive innovation as it applies to mHealth telemedicine. From a webinar presented by MeVisit and the PCPCC’s Care Delivery and Integration Stakeholder Center via HealthShareTV. The American Telemedicine Association’s 2013 meeting, 5-7 May in Austin, Texas has three keynote speakers, and not a buzzy one among them. The large provider: Lynn Britton, President & CEO, Mercy, a 31 hospital healthcare system in the Midwest and named 2012 “Most Wired” healthcare organization by the American Hospital Organization. The tech innovator: Jeffrey Henley, Chairman, Oracle Corporation. The payer side: Reed Tuckson, MD, the immediate past Chief of Medical Affairs for UnitedHealth, the largest US private insurer. Release. More information on ATA 2013. If you are attending ATA, and would like to contribute a summary of what you find interesting or your general observations (including video and photos), please email Editor Donna or comment below. Frost & Sullivan’s latest report on the European market posits remote patient monitoring (RPM)–including telemedicine (virtual consults and patient visits), telecare and telehealth–as achieving $616.4 million in 2012 and rising to $831 million by 2018 as European countries economize in healthcare delivery. It’s worthwhile noting that F&S has developed multiple studies in their Connected Health Growth Partnership Service program for Europe, APAC and the Americas. F&S release, HealthTechZone article. Telecare ‘grizzled pioneer’ GrandCare Systems, which extended some time ago into both telehealth and socialization, is profiled in this Milwaukee Journal-Sentinel article on local entrepreneurship and the relationship of intellectual capital to economic success. CEO Charles Hillman, COO Gaytha Traynor and VP Marketing Laura Mitchell are interviewed in the video (05:26). 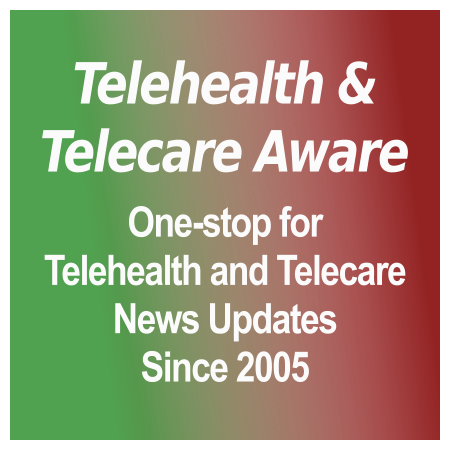 [grow_thumb image=”http://telecareaware.com/wp-content/uploads/2013/04/Lively.jpg” thumb_width=”150″ /]But telecare has attracted a new entrant, Lively (or Live!y). It’s an in-home behavioral monitoring system which uses neatly-designed motion sensors and M2M connectivity. It strongly resembles to this Editor QuietCare as originally positioned for older adult independence and safety in the home, but developed out in a version 2.0 or 3.0. Activity information feeds over to a web/smartphone platform which generates alerts when something is off the routine (again, like QuietCare). Pricing is right with an equipment cost of $149 (same as the original QuietCare) but with a far lower per month subscription of $19.99–lower than PERS which averages around $35-45–and unlike QuietCare, it is fully self-install. The connectedness overlay is (hold the presses!) direct mail–a ‘LivelyGram’ every two weeks which turns friends and family photos, news and updates into a booklet. The sticking point may be the usual–the older person finding this intrusive and ‘I don’t need this.’ Their Kickstarter appeal has unfortunately started off slowly even with initial discount pricing of $99 for the system; as of 23 April, $11,534 pledged of a $100,000 goal with 21 days left. Neil Versel reviews at Mobihealthnews. With no official announcement, the US Federal Communications Commission (FCC) has selected Matthew Quinn from the National Institute of Standards and Technology (NIST) for its first-ever Director of Health Care Initiatives, as reported in FierceMobileHealthcare (via Mobihealthnews). His maiden appearance was at a recent Care Continuum Alliance Capitol Caucus in Washington, D.C. This contrasts with the relative fanfare back in December of the new position and its big scope–administering the Health Care Connect Fund, the health care part of the National Broadband Plan, developing spectrum policy for Medical Body Area Networks (MBANs) and other medical devices as well as expanding broadband to skilled nursing facilities (SNFs). It’s all quite curious as it seems to be a muting of the FCC’s previous aggressive stance in cutting its slice of the pie in health care. FierceMobile’s editor Greg Slabodkin wonders what door the new Director will be using in Welcome, Mr. Quinn, I don’t believe we’ve been introduced. Australia’s Royal District Nursing Service (RDNS), which is testing a telehealth service (=telemedicine), won the Outstanding ICT Innovation award in the Asia Pacific Eldercare Innovation Awards 2013, part of the 4th Ageing Asia Investment Forum in Singapore. Nurse virtual visits were demonstrated between ‘patient’ Singapore’s Senior Minister of State, Mr. Chan Chun Sing, and RDNS nurse Amanda Murray in Melbourne, checking his blood pressure and ‘medication’. The ‘Healthy, Happy and at Home’ project over the past two years was developed by the RDNS with the Victorian State Government under its Broadband Enabled Innovation Program (BEIP); participating partners are Telstra, Healthe Tech (using the original Intel Health Guide) and La Trobe University. RDNS telehealth wins international ICT award (ITWire), Asia Today Video (3:38) Hat tip to reader George Margelis of Care Innovations Australia. App publishers and companies will be forced to keep track of at least the most important distribution channels for their most important target groups. Building and marketing an app is therefore becoming an important part of businesses. It will even have a bigger impact than the commercialization of the internet economy at the beginning of the century. Diversity of mobile operating systems will increase, offering new opportunities, especially for 2nd tier device manufacturers. App development will become more complex. For developers the pressure to reach out to new target groups who are demanding innovation is rising. The terrorist bombings at the end of Monday’s Boston Marathon has already stimulated some analysis on what tech did–and could have done–to save lives. MedCityNews’ article analyzes the handling of the casualties–well done in the coordination of multiple hospital ERs (EDs) in caring for over 100 moderately to severely wounded, but showing the present inability in Massachusetts for the state health information exchange (HIE) Mass HIway to exchange patient EHRs under emergency circumstances. “With HIEs that have this capability, emergency department personnel can search for a patient’s record immediately upon his arrival or even as he’s being transported to the hospital. In hospitals connected to the Indiana Health Information Exchange (IHIE), for example, the system searches for a patient’s record automatically when he’s registered to the ED.” mHIMSS focuses on emergency response, triage, mobile data collection–and Boston’s Center for Connected Health on how health tech could assist in victims’ recoveries and mental support. But in the short term, the Greatist health and fitness website offers links to ways to help, including blood and financial donations, showing support, finding people and keeping up with news. Also there’s the official email for the FBI on where to send photos of the Boylston Street/finish line area. Health tech accelerator StartUp Health is wisely pointing their entrepreneurs towards ‘the jobs to be done’ of the 50+ age group via a new partnership with AARP. AARP is sponsoring the development of educational content for entrepreneurs in the StartUp Health Academy as part of their Innovation@50+ initiative. They are also sponsoring StartUp Health’s quarterly industry research reports as well as trend data and intelligence. 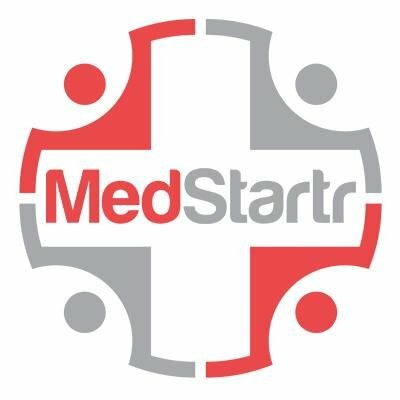 This is StartUp Health’s second high level partnership, after their joint program with GE Ventures Healthymagination [TTA 4 April]. StartUp Health/AARP release. Related: The Oxitone wrist-worn blood oxygen meter is one of the StartUp Health/GE ‘Lucky Thirteen’ and is profiled in this Times of Israel article. [TTA 7 Sept 2012, 24 Feb 2012] Notably it’s one of only two non-US companies in the group–the other is Ireland’s GetHealth.